It’s an unfortunate truth that even in this beloved and extremely popular franchise there exist wonderful games that, despite their high quality, are severely underrated. The Minish Cap and the Oracle games are a prime example of this, but there’s another Zelda game that is sadly talked about even less than those titles. That game is the legendary Okami. Realm of Memories is a series where we reflect on our absolute favorite moments in The Legend of Zelda games. These could be the times we first fell in love with a game, were moved by the events of the story or actions of a character, felt triumphant when overcoming a tough boss or challenge, or we had an experience so unique that the adventure truly became our own. The Zelda series has touched our lives in many ways, and just as Hyrule has endless stories to share, so do our writers! If you haven’t played Okami before, you play as Link, who has been transformed into a wolf. He travels the land of Nippon as the hero destined to save it from the clutches of the evil Ganon. I remember when the game was released that there was a lot of backlash about Link turning into a wolf, as folks said it was a massive departure from the series and that they still wanted their mature adult Link back after the “disappointment” from Wind Waker’s cartoon style. 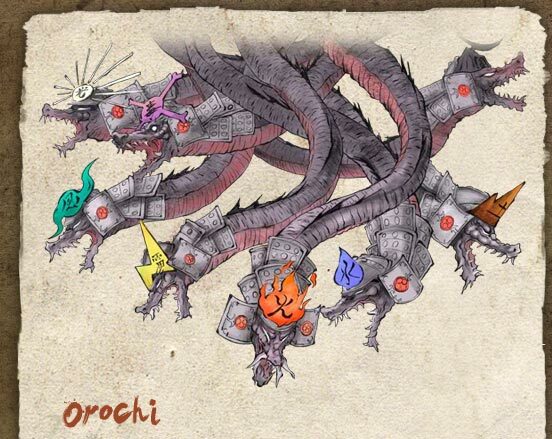 I like how Okami takes the series and does all sorts of brand new things with it. Not taking place in Hyrule or any other known Zelda location is a very bold move, especially for a mainline Zelda title. On top of that, Nintendo chose to make Okami an advanced form of the cel-shaded graphics from Wind Waker and made everything in the Japanese sumi-e art style. I have to wonder if this is one of the reasons the game became so underrated. This is arguably Princess Zelda’s most unique design in the series to date. Link is guided by the fairy spirit Issun, and as you know, having a companion is a series staple. Issun is a much more comedic character than most of Links previous companions, and he likes to interrupt the action in the game as well as give very obvious hints to puzzles; certainly a carryover trait from the fan-favorite Navi from Ocarina of Time. Gameplay in Okami is about what you’d expect from a Zelda game, but it does offer some of its own twists. For example, fighting enemies is done in an RPG-like fashion where you can run into them on the map and be transported to a small arena. Once there, you have to defeat all the enemies or break down the perimeter of the arena to escape. You’re then graded on your performance and given rupees, which is still the game’s currency. This combat reminds me a lot of Zelda II, another fan favorite in the series, and I’m glad to see it return in some way, even if it is just a slimmed-down version in a much later title. Wolf Link as he appears in Okami. Of course, it wouldn’t be a discussion about Okami if we didn’t talk about the Celestial Brush, an item that evolves over the course of Link’s adventure. With the press of a button, you can draw a shape or a line on the screen, and depending on what you interact with it can change what the various drawings do. This is a radical departure from the norm, wherein you had to open a menu and equip only a couple items at a time. This is such an amazing way to do things, it’s a shame that it took until Breath of the Wild to find another great way to use Link’s items. Even better, the Celestial Brush concept seems to be inspired by the Nintendo DS, which makes sense given the success of that system and how much fans loved the touch screen controls. The game even mimics the accuracy of the DS inputs, as sometimes the shapes don’t register properly, though it works most of the time. Ganon appears as a massive, eight-headed snake. Before Breath of the Wild was changing Ganon’s designs dramatically, there was Okami. 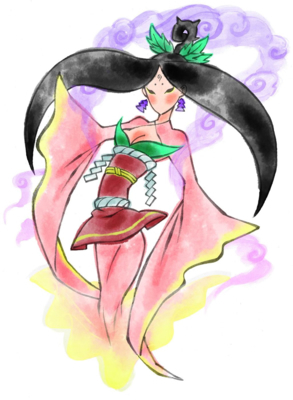 Okami has a special place in my heart. Any avid readers may recall when I wrote about when I first obtained a Wii. Okami was the first Wii game I had ever received, and it brought me so much joy toward the end of my high school years. I thought about the game all day at school and was always ecstatic to get back home and continue my adventure in the magical world of Nippon. 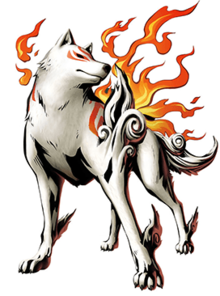 If you ask me, Okami stands as a triumph in the Zelda series. It represents Nintendo’s willingness to continue to try fresh and new things for their franchises. Yet, they are also willing to bring back mechanics fans love, such as the battlefield mechanic of Zelda II or the drawing controls of the Nintendo DS. It’s an absolute masterpiece of a game and a Zelda entry I’ll cherish forever.